Probate attorney Hollis Morgan is branching out into criminal law. Pardoned after serving time for her then-husband’s white-collar crime, she knows something about the workings of the criminal mind. Hollis’ first criminal case quickly gets complicated. Her client is a young man initially accused of identity theft, but his charge soon includes murder. Her client is let out on bail as bait, and Hollis struggles to keep her client alive. She enlists the services of her young friend Vince, a former addict she helped get back on track. At the same time Hollis is handling a sensitive probate matter for a whistler-blower hiding from a revengeful cartel. It has not been easy for Hollis to learn to trust again, and in both these cases, a number of people are not telling her the whole story. She thinks she can sort the truths from the half-truths and the outright lies, but how reliable are her instincts? Hollis’ sense of justice does not always consider the law. If she’s wrong, her clients aren’t the only ones who could lose their lives. Hollis Morgan has survived imprisonment, received a pardon and persevered to finally become a probate attorney. Tough as she is, her newest case will further test her mettle. She discovers her client, Matthias Bell, is a deceased blackmailer whose last wish was to return the damaging documents letting his victims off the hook. It falls to Hollis to give them the good news. 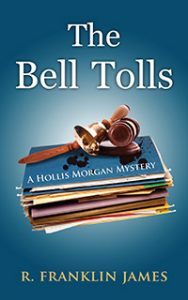 But it becomes apparent that Bell was murdered, and the victims of “Bell’s tolls” are now suspects. Hollis’ white-collar criminal past has left her with keen survival instincts. A gifted liar, she knows a liar when she sees one. A lot of people in this case are lying and one is a killer. On top of that, she’s also representing a dying stripper, a wealthy widow whose estranged daughter spurns her attempts at reconciliation, but whose husband sees the potential inheritance as mending all wounds. Clients aside, Hollis is defensive and wary. Her mother, who hasn’t spoken to her for years, needs a kidney, and Hollis is a match, but neither are ready to put away the past. With Hollis’ fiancé and emotional support off on an undercover mission for Homeland Security, she must count on her own survival instincts. She is swept along on an emotional roller coaster as her absent love and her family’s coldness take their own toll. Work is her salvation. The specter of a killer keeps her focused. Hollis has always had to rely on her wits, but now she finds that others who don’t have her well-being in mind are relying on them as well. 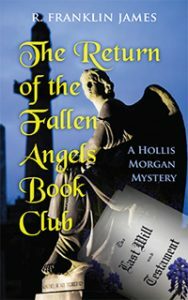 Book 5 in the Hollis Morgan Mystery series, which began with The Fallen Angels Book Club. Hollis Morgan has come a long way since serving time for her ex-husband’s white-collar crimes. After receiving a state pardon, she is now a probate attorney at the Bay Area firm where she began as a paralegal. In a case close to home, her manager, George Ravel, inherits a fortune from his newly found birth mother, but her dead husband’s heirs are overcome with greed, not grief. They are determined to discredit her will. George asks Hollis to handle the case, but her attention is divided. A dead woman has been discovered with Hollis’s business card. The woman possessed a list that could end the careers and lives of several public officials and prominent businessmen. 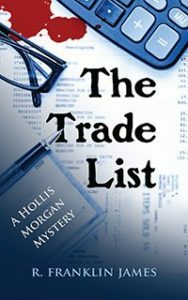 Copies of list exist, and someone believes Hollis has one of them and they will go to any extreme to obtain it. 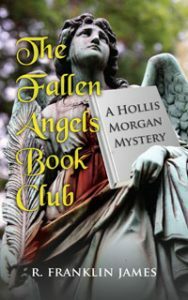 To protect her friends and stay alive, Hollis turns to her ex-con buddies from the Fallen Angels Book Club. In this case, there are too many people, on both sides of the law, who have an interest in seeing her stopped..
Hollis Morgan is a survivor. She married young to flee an unloving family and ended up in prison, paying the price for her charming husband’s crime. After finally obtaining a California judicial pardon, Hollis has climbed the ladder from paralegal to probate attorney. But then there is the murder of her former parole officer, Jeffrey Wallace. Without Jeffrey, Hollis’ successful reentry into society would never have been possible. It was he who brought the Fallen Angels Book Club together. Realizing their debt to Jeffrey, they come together once more, determined to uncover the truth. Hollis has met a great guy but she is afraid to trust again. He doesn’t want to see her put her life in danger, but he also knows she won’t stop until Jeffrey’s murderer is discovered. Hollis finds that probate law can bring out the worst in people… and sometimes expose a killer. 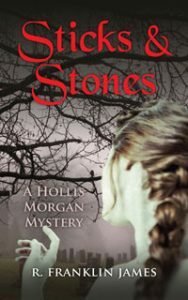 R. Franklin James’ STICKS AND STONES, is the second novel in the Hollis Morgan Mystery series, in which a San Francisco Bay Area paralegal persists with pursuing her goal to be an attorney after being pardoned as an ex-felon, but while waiting for her scores from the bar exam, her good friend seeks her help in a libel suit, however, before they can work together, her friend is murdered to ensure the story dies with her. Hollis is determined find her killer. Even as she stays one step ahead of the murderer, she is working on another job assignment when she discovers a box of eighty year old letters that tell a tragic story of greed, betrayal and revenge and it is then she realizes that words can cut deeper than any stick or stone. The Fallen Angels Book Club has only two requirements: the members must love books and have a white collar criminal record. Hollis Morgan fits the bill on both counts. Left holding the bag in an insurance fraud scheme concocted by her now ex-husband, she served her time and now is trying to rebuild her life. All she wants is for the court to pardon her conviction so she can return to law school. After one of her fellow members is murdered in a scenario straight out of a club selection, Hollis is once again the subject of police scrutiny. Refusing to get stuck with another bad rap, she sets out to investigate her fellow club members. Is one of them really blackmailing the others? As a second member dies in yet another book-inspired murder, Hollis realizes that time is running out. Everything rides on her finding the killer—not just her career aspirations. 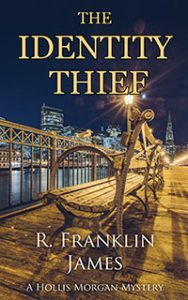 She must identity the killer before she herself becomes the next victim.